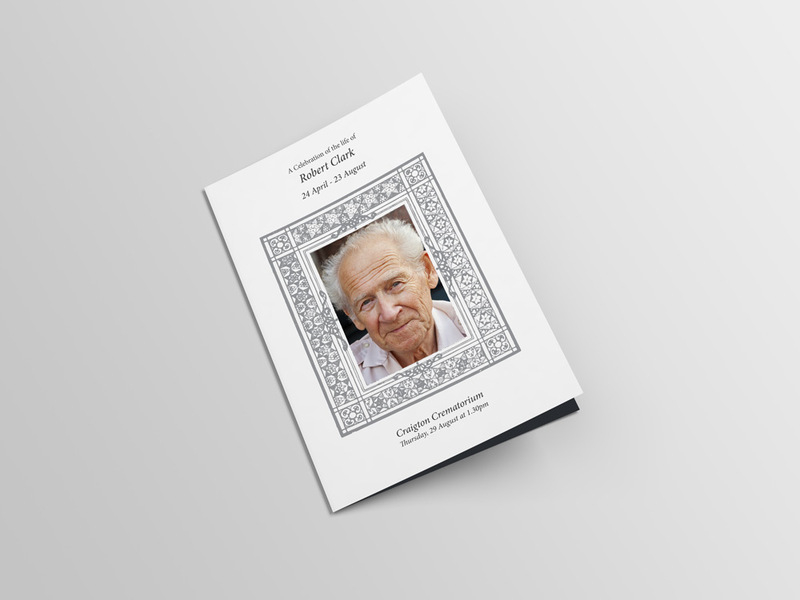 At Glasgow Creative we have been printing funeral orders of service for customers throughout Glasgow and the surrounding areas for many of years. 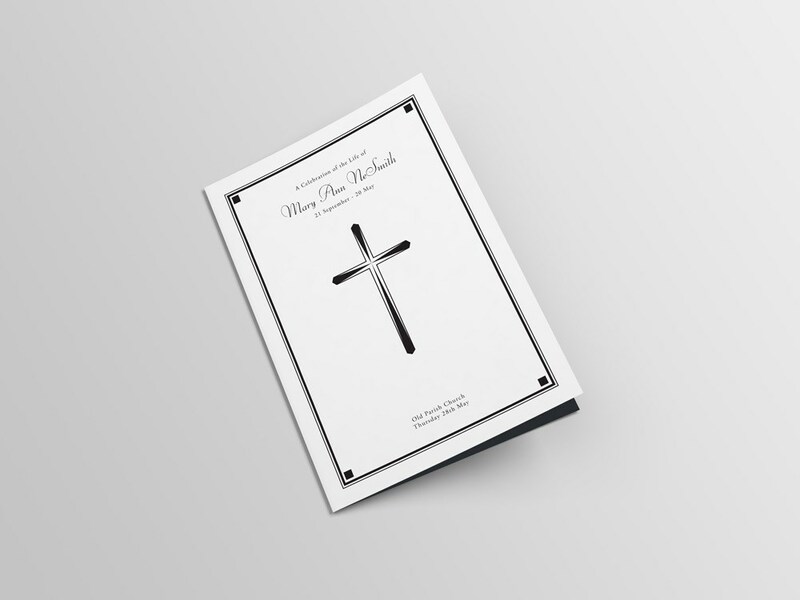 As the leading printer of funeral stationery in Glasgow, we’ll help you design it and we’ll ensure your order is just how you require it to be. We have been offering funeral order of services for many years and we provide respectful and compassionate service to all of our customers throughout Glasgow. Whenever we carry out any type of order of service printing, we use quality materials to achieve the highest quality finish. 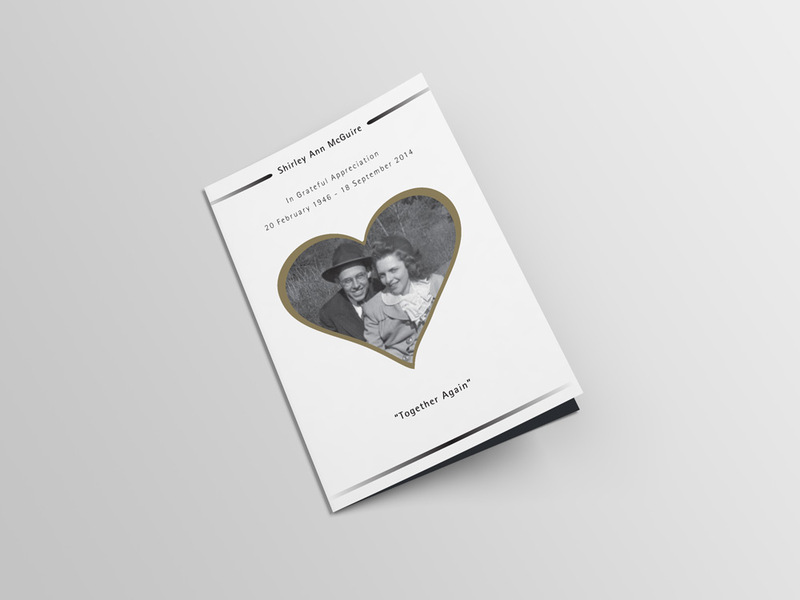 Whether you want a basic design or a fully customised funeral order of service, then we can print it for you. Having provided funeral order of service printing to people throughout Glasgow and the surrounding areas for a number of years, we have developed a well-known reputation as professional order of service printers. We aim to carry out all order of service printing for funerals in a professional and efficient manner. When it comes to needing printed funeral order of services, be sure to get in touch with Glasgow Creative and one of our team will be happy to provide you with a quote. Funeral orders of service are usually required at short notice and that’s something we thoroughly understand. No matter how short notice, you might require funeral order of service printing carried out, we’ll do our best to ensure we can accommodate your needs. Whether it’s a design from scratch or customising a template we already have, then Glasgow Creative has you covered. You don’t have to design it yourself, just bring us the details and the photos you’d like to use and we’ll do the clever stuff, making it look just perfect for you. All of our funeral order of service printing is carried out with the utmost care and attention, to ensure each aspect, from colour to wording is to your exact requirements. As an established funeral order of service printers, we are well-known throughout Glasgow for our compassionate service and quality of the work we carry out. When it comes to needing funeral order of service printing in Glasgow, be sure to make Glasgow Creative your first port of call. We offer fully customisable funeral order of services; and we guarantee they’ll respect your lost loved one in the best possible way. 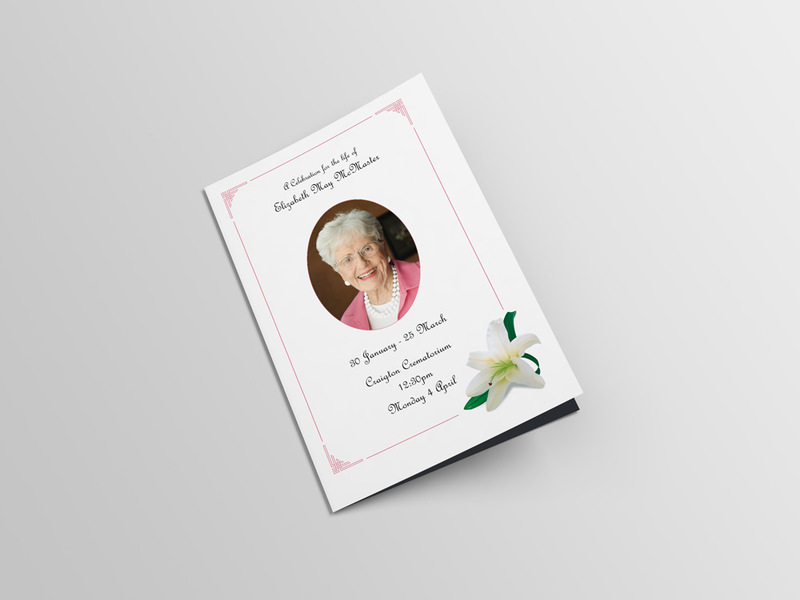 From font style, to design and much more, you can create the perfect funeral order of services. Get in touch with Glasgow Creative today and we’ll be happy to provide you with a quote. How long will it take to print funeral order of services? We aim to carry out all funeral order of service printing as efficiently as possible and we never compromise on quality. When you choose Glasgow Creative, we’ll give you an estimated completion date for your order of service printing. We offer an understanding and compassionate service to all of our customers. Our team understand how difficult arranging a funeral can be and that’s why we go the extra mile to ensure the printing process runs as smoothly as possible. How do I arrange to have funeral order of service printing carried out? If you’re based in Glasgow or any of the surrounding areas and are in need of funeral order of service printing carried out, then all you need to do is get in touch with us. One of our helpful team are always on hand to help and assist.